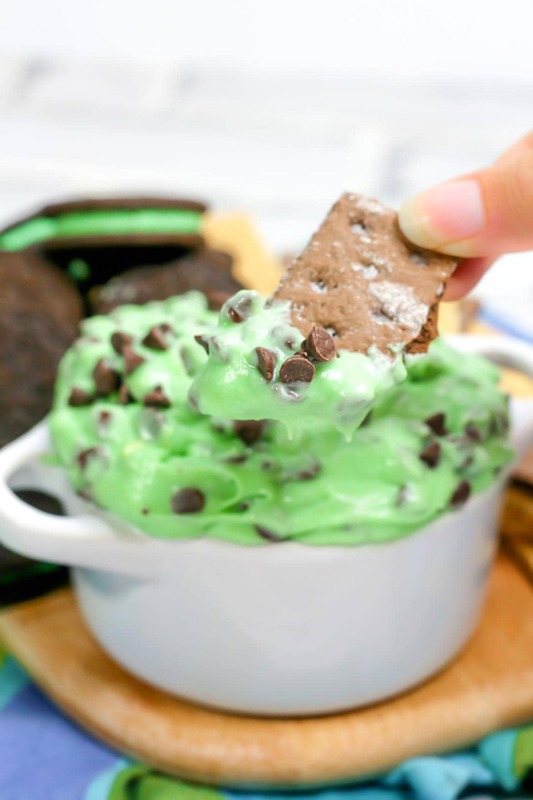 This mint chocolate chip cheesecake dip is absolutely irresistible! It’s made with silky cream cheese, and so good served with graham crackers for dipping. This is a perfect treat if you’re craving mint chocolate desserts! 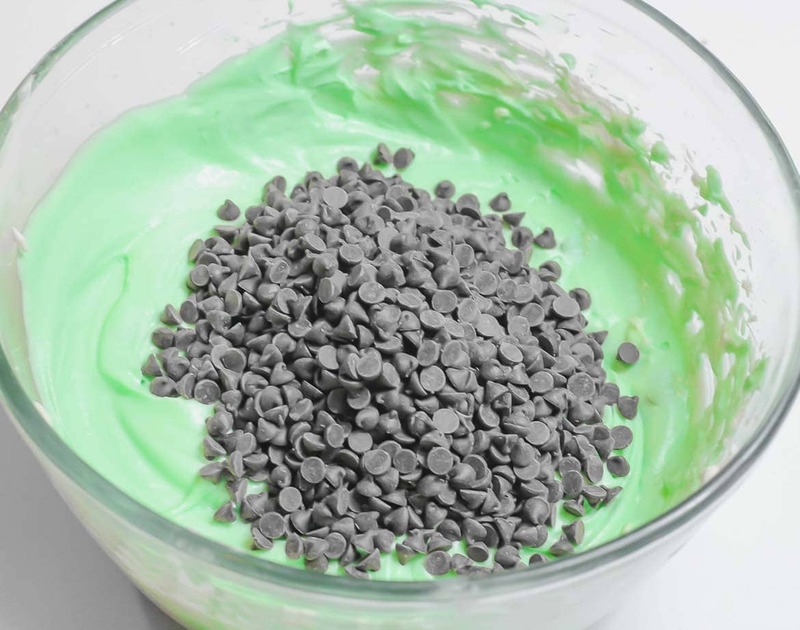 Kids will love this cream cheese chocolate chip dip, because it’s so colorful and fun. We know because our kids instantly devour any sweet and tasty dip that’s anywhere in the house. I swear that they have a special superpower for sensing when there’s a tasty, sweet treat in the house. This chocolate chip dip recipe is from a guest poster here at The Parent Spot. What do you need to make chocolate chip cheesecake dip with cream cheese? How do you make chocolate chip cheesecake dip? This recipe’s nice and easy! It only takes 15 minutes, and it’s basically just a bunch of mixing some very delicious ingredients together to make a mini choc chip dip you’ll love. In a medium bowl, use a hand mixer to combine heavy whipping cream, powdered sugar, vanilla and mint extract together. Mix on medium until stiff peaks form. 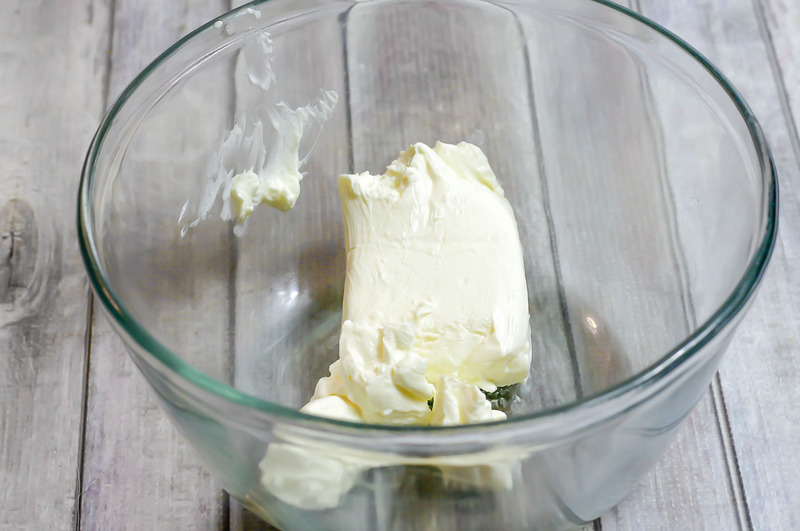 In another medium bowl, beat the softened cream cheese until smooth. 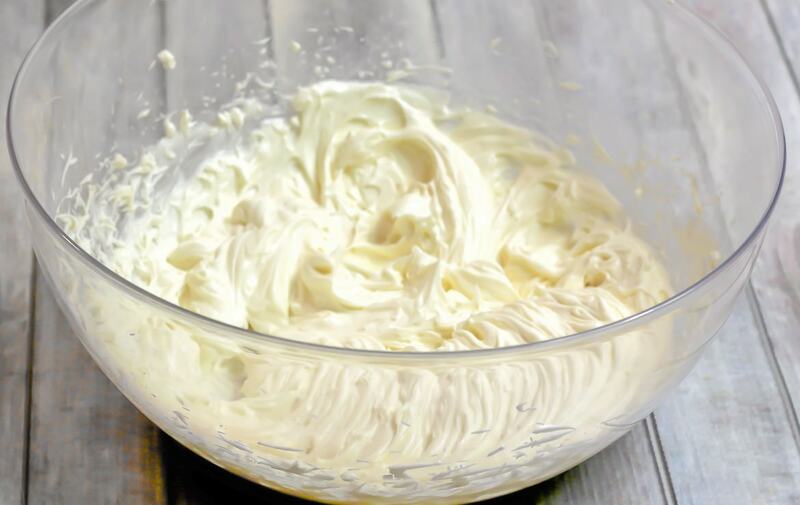 Fold the cream whipping cream mixture into the cream cheese with a rubber spatula. Add 5 drops of green food coloring and fold in. 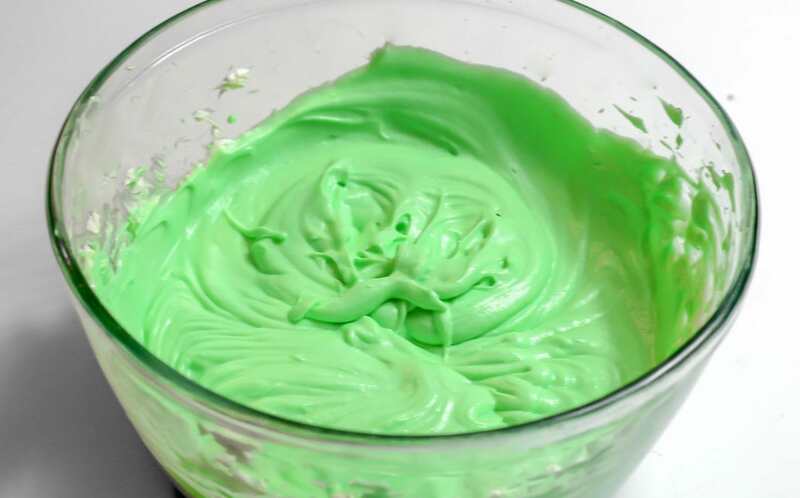 Add more food coloring if you want a darker green color. Serve with graham crackers, cookies, and fruit. What do you eat with chocolate chip cheesecake dip? 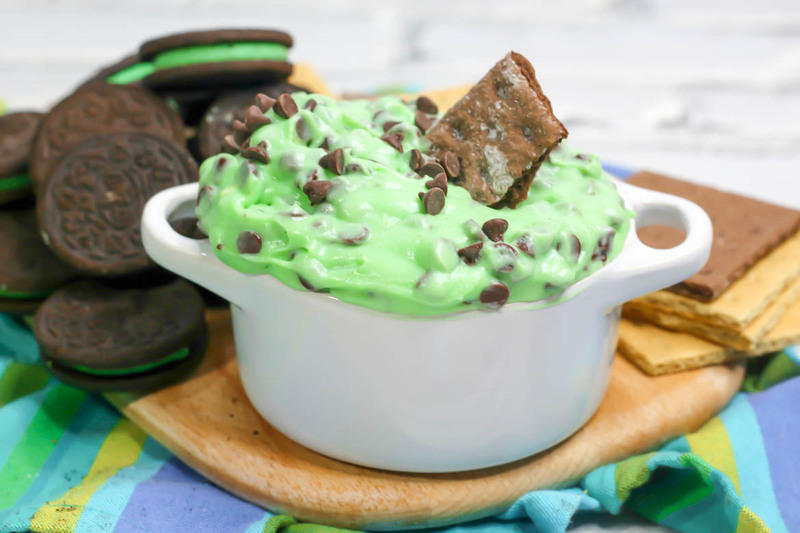 This mint dip is delicious served with graham crackers. Try either regular graham crackers or chocolate graham crackers. Fruit is also a great choice, including cut up banana, strawberries, mandarin orange and apple slices. 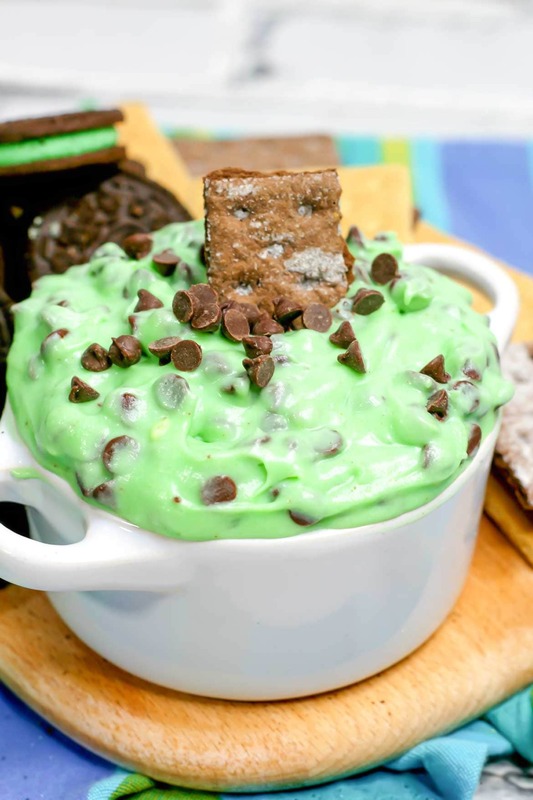 For some fun, serve this chocolate chip cheesecake dip with mint Oreos! So many delicious sweet dips are delicious with graham crackers. Try our caramel apple dip, a pumpkin fluff dip, this cake batter dip, or even this tasty Greek Yogurt Fruit dip. 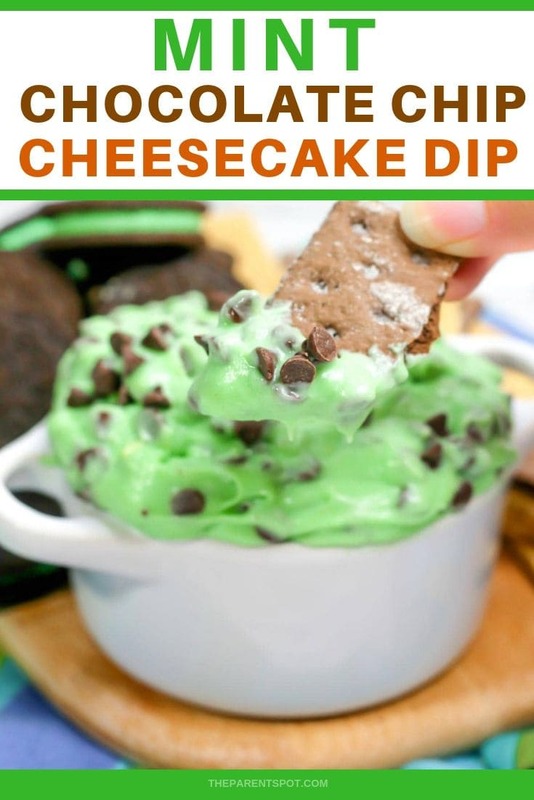 This mint chocolate chip cheesecake dip is so easy and addicting! 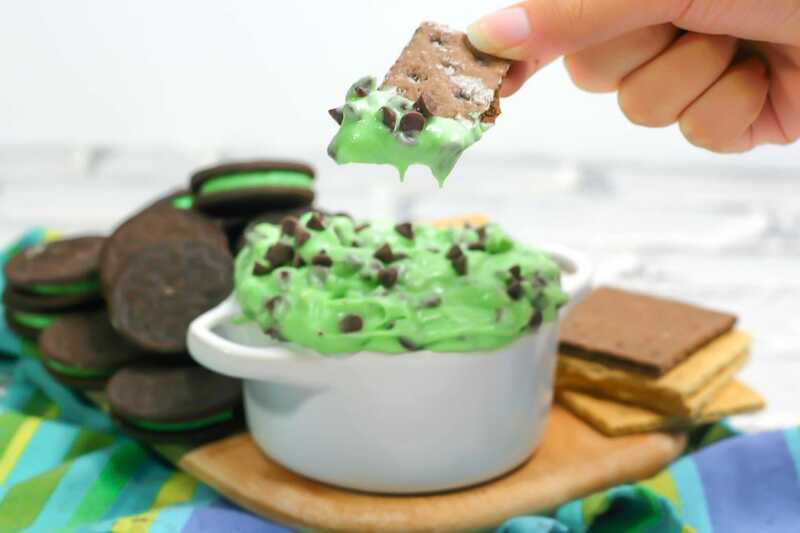 It's made with cream cheese and mini chocolate chips, and delicious served with graham crackers or mint Oreos for dipping! We do our best to give you nutrition information, but keep in mind that we are not a certified nutritionists. Any nutritional information is only our amateur estimate of the correct values. Loved this recipe. We leave out the dye and nobody complains at all. So good! Such an amazing recipe! Mouth-watering!